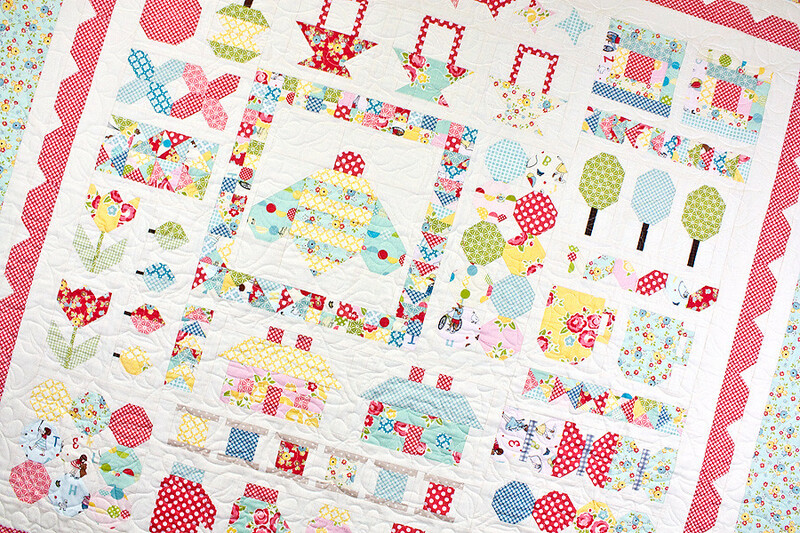 Welcome to the very last stop in Lori Holt's Quilty Fun Sew Along and Blog Tour! 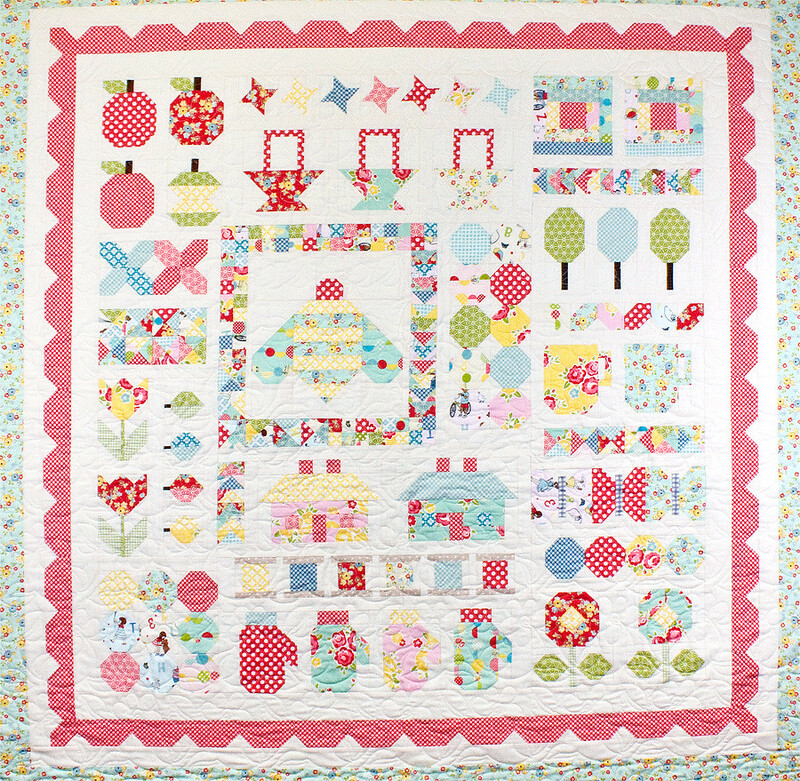 We hope you have enjoyed sewing all of the Quilty Fun blocks, and now it is time to put them all together! We also have a cute quilt label to add to your quilt. Get ready for some serious Bee in my Bonnet sewing! 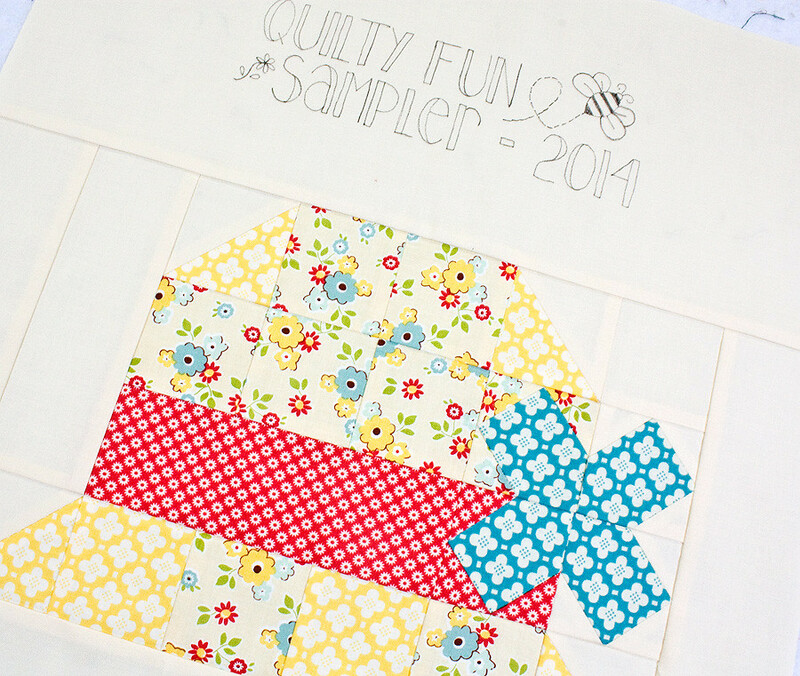 Download the Quilty Fun Sampler Finishing PDF and Quilt Label PDF then hop over to the Bee in my Bonnet blog to see Lori's finished sampler quilt too! Kim sewed her Quilty Fun Sampler Quilt with a mix of Lori Holt fabric from various collections for Riley Blake Designs. Debbie sewed her Quilty Fun Sampler Quilt using the Sidewalks collection by October Afternoon for Riley Blake Designs. 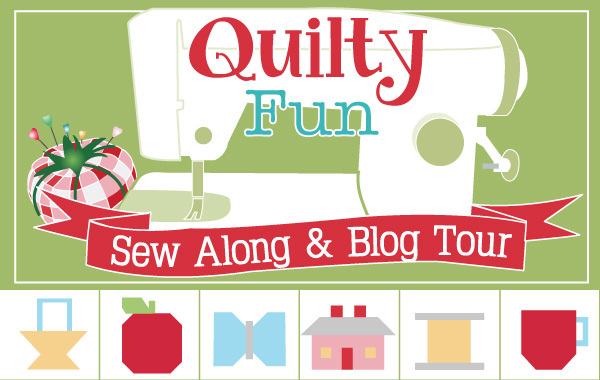 Once you have your quilt assembled OR your label block sewn, post a photo or two to the Quilty Fun Blog Tour & Sew Along Flickr Group for a chance to win some Quilty Fun prizes. This week we will be offering up two Large Aurifil Happy Colors Thread Boxes and two packets of Alphabitties! The winners of last week's giveaway are daisy & jack, cjmavis, and Laurel Jensen! 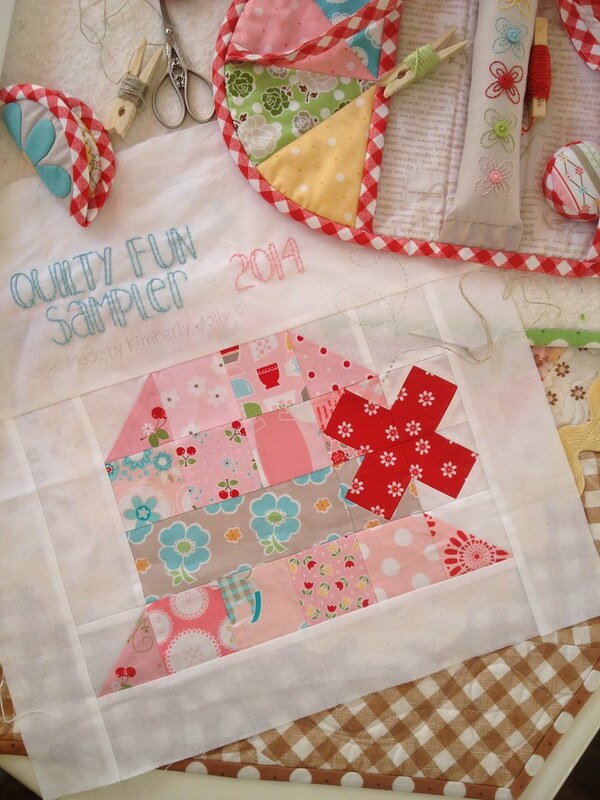 Thank you so much for sewing the Quilty Fun Sampler with us! 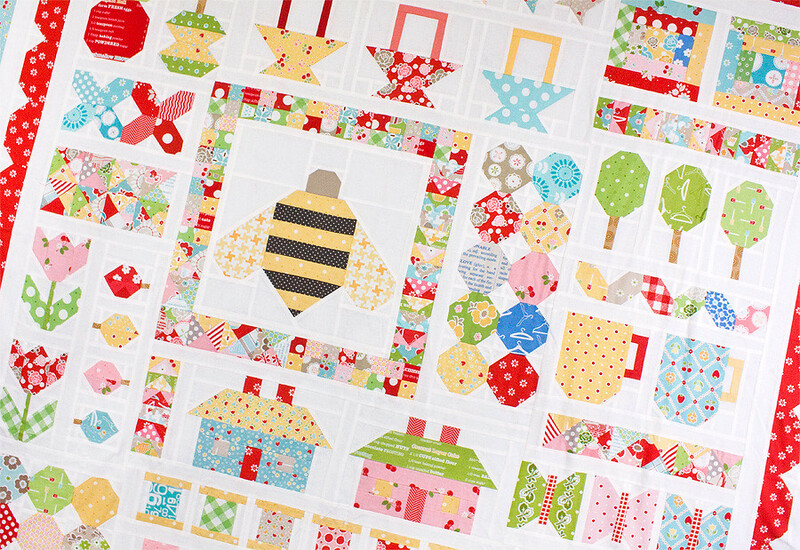 If you are new, be sure to get a copy of Quilty Fun, download all of the Cutting PDFs, and sew this quilt with your scrappy stash! 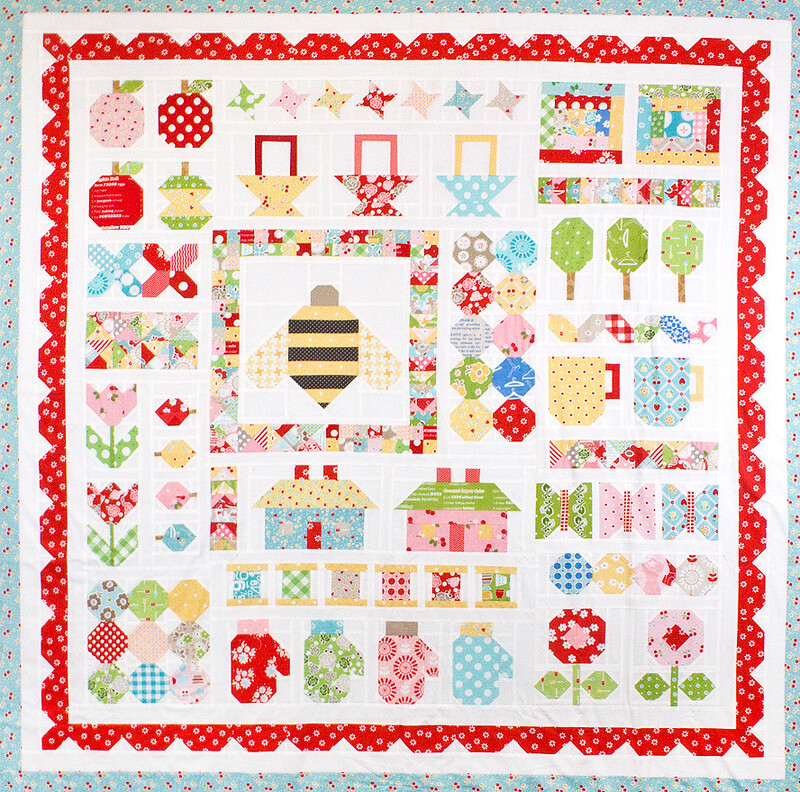 And stay tuned for more Bee in my Bonnet fun, we are planning a Great Granny Squared Sew Along too!